FOR ESTIMATE ONLY PLEASE SCROLL DOWN THIS PAGE. The Human hair cost .......................................................................................$130.00 per package of hair. 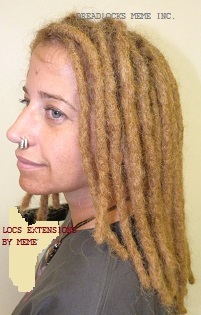 To create the loc extensions, the starting price is .............................................$496.00 & Up. 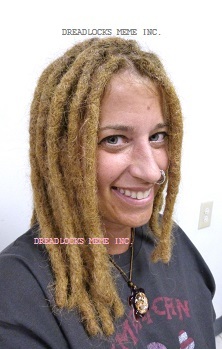 (If Client accept Dreadlocks Services the $27.00 consultation fee will be deducted from the final price). 4. Prepare the hair extensions for the locking process. 10. This process can take from 3 to 6 days to finish. 11. To Schedule multiple appointments a deposit of $200.00 is required. (At the time of your consultation). 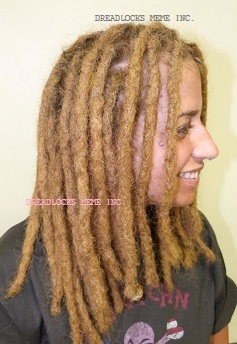 PLEASE NO KIDS UNDER 12 YEARS OF AGE IS ALLOWED IN THE SALON AT THE TIME OF YOUR CONSULTATION OR YOUR DREADLOCKS SERVICE.